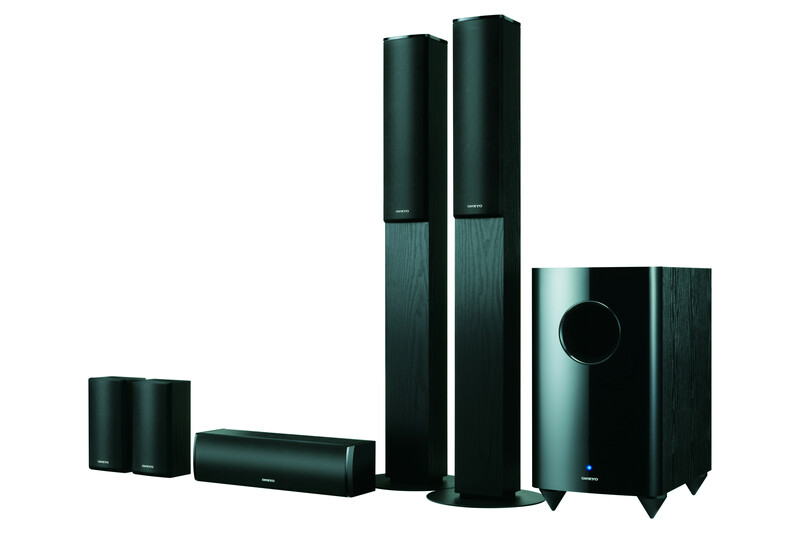 Onkyo home theater procured | Globonomics! To begin the new year with a bang, this was really a value for money purchase. This was selected from a range of alternatives from Bose to Denon to even some German speaker systems but Onkyo beat all of them hands-down. The speakers are pure Wooden and the front speakers are a tall boy configuration. I made this buy directly from Onkyo at their franchisee outlet at Sigma Mall, Cunningham road, Bangalore and as described in the previous post, the music quality was outstanding. I investigated a few other models (lower end) for Rs. 34K (after discount – new year) but they were no match for this power configuration. The ones I looked into were both the 6200 combo package (which falls at about Rs. 49K after discount) and the lower end ones were the 528 speakers with the 307 receiver for about Rs. 34K (discount of ~38% on it’s MSRP of Rs. 55K). My configuration set me back by Rs. 55K (with a new year discount offer of 21% over its MSRP of Rs. 70K). The speakers and the receiver set is full HDMI with a lot of input and output points for future expansion for things like Blu-Ray etc. Also, it is fully wooden and elegant esp. the tall boy configuration and the entire set is Made is Malaysia! I find these “Made in China” items to be slightly crude in finishing so this was a relief. My DELL Vostro desktop was made in Malaysia and I have had a great experience with it for the last 2.5+ years so I hope my Onkyo stands upto the tall claims! But I am pretty much sure it would given my experience on day#1. It blew me away with that crystal clear sound coming from different corners of the room! I was also suprised that my living room is deceptively large. I know the dining area and entrance area is huge but this TV viewing area turned out to be huge for this Onkyo system which by itself is pretty large. The Onkyo blends well and does not look or sound big. It kind of fits easily. I had underestimated that it would turn out to be too gawdy etc. but not so. I think it’s a great value for money product. Hi Naveen, congrats on your new year buy. I am sure this will sound good. It looks beautiful, I saw another set which doesn’t have the front tower speakers but all cube speakers for INR 22K. That one would have saved you the space. Anyways, it wouldn’t have matched the tower speakers on sound quality. 1. Acoustic effect of the speaker box (wooden speakers traditionally perform better than plastic – after all the speaker is just a box with a cone that vibrates at different frequencies producing the required sound effects). 2. Not cubes from a Bose sense which offer little advantage. In fact, the Bose showroom guy himself told me last week that a 2.1 (with all their acoustimass technology) does not do well for a large living. You need a 5.1 system. 3. The acoustic effect. Ultimately everything boils down to the effect and like you rightly said, there was no comparison between the model I saw earlier at their showroom with equal sized cubes in a 5.1 configuration but producing little quality output. This one, on the other hand, almost blows one off! It’s almost like the difference between heaven and earth! It was that stark. So, picking this one became a no-brainer. I just did some ‘post-buy’ research. Onkyo 577 receivers are well rated universally so it’s a no-brainer to go in for those if your DVD can do the upscaling for your HD. Onkyo’s 728 speakers are rated ok though there are better ones on the market like Harmon-Kardon, Denon, Wharfedale etc. 577 is esp. popular due to the HDMI inputs where it beats even the likes of 6200 which Onkyo tries to push as a package with cubes that don’t sound great – I tried it before zeroing on this one. From a pricing standpoint, I feel I have got a decent deal. I compared British prices with discounts to the price I paid for this. This means the combined price is about INR 50K (for something converted but purchased in Britain). I paid Rs. 55K for it here in India after discount which is only Rs. 5K difference cost towards shipping + duty. The entry level 321 GS (2.1) is about $899 (~41K) but here it is sold at Rs. 76K so one has to add another Rs. 35K for shipping and duty on electronic goods. Hi Naveen, I am glad that you got a good deal right here in India! If your next post is a about your total AV setup with a few pictures thrown in, it will surely help a lof people. About BOSE, the less said the better. Over priced and not really for Audiophiles, it is more of a curio than speakers. You need to congratulate them for being the first to develop the cube speaker technology. I remember my old custom 2 channel tower speakers that took a lot space with an 8 inch bass, 6 inch midrange and 4 inch tweeters. My present cubes (not BOSE) sound really awesome but it is time for an upgrade. I will definitely put up a post sometime on a total AV setup once I am ready for it with all information. Thank you again for this. BTW, I got the entire casing/capping done by an Electrician for my Onkyo home theater setup late evening yesterday. Yes, my family is averse to drilling holes into the walls (we have very few of them) and this one did require 10 drills so they were not very thrilled but then the end effect of a movie on this home theater blew them away! Iam in process of getting the above mentioned combo. Happy that you liked it very much. By the way whats the dimension of ur room. Mine is an whopping 6*9 metres. the sales guy told that this pack is suffice to blow up the entire room if carefully placed. When have u planned to take the additional speakers to make it really 7.1. In that case can we use jamo s606 for that..whats ur plan. Can i have the electrician contact details( at bangalore) who has done the casing/capping for you ? Congrats! on getting hand on ur LED+harman…..
Im from marthandam.. My wireman did an exceptional job in handling my 42′ plasma + Onkyo..No wires hanging outside.Infact mine is a dedicated HT. So all the wires run inside the wall. I have to check him if he can travel to TVM.Basically Marthandam is 1 hr away from TVM. hey …. thanks for u r reply…. i dont think i can ask any one from lg in tvm to get the wall mounting done for me cos i shipped the tv from abu dhabi….havent looked into a dvd yet….primarily because i download hd movies via torrent and watch it…..since the tv has usb, hdmi input and wireless connectivity to my laptop :)..im in abu dhabi now…will be in tvm tomorrow…i can scout around for dvd shops and let u know….